Last November, something interesting happened. It turned out that the headbangers of the Erris peninsula, the “extremists” who have been blocking the completion of Shell’s Corrib Gas project, were neither crazy nor extreme. An Bord Pleanala wrote to Shell’s planners, rejecting the proposed route for half of the gas pipeline, in terms that largely vindicated the protesters. The Garda got sucked into a huge policing operation in which the force was inevitably placed on the side of Shell and against the protesters, some of whom were willing to use the issue for their own purposes. It has been heavy-handed at times: the Garda Siochana Ombudsman Commission has recommended disciplinary action against at least one senior garda. This policing operation has been incredibly expensive (it has cost 14 million euro to date). These five conclusions are, I think, shared by reasonable people on both sides. They must, therefore, form the basis for an agreed way forward. If the DUP and Sinn Fein can do a deal, it surely cannot be impossible for Shell, the Government and the local communities to start from scratch and reach a compromise that stops the criminalising of well-grounded objections and unlocks a desperately needed economic and financial resource for the public good. 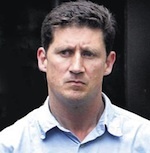 The person who should be leading this effort is Eamon Ryan, who has been on both sides of this conflict, first as a supporter of the protests and now as Minister for Energy. An Bord Pleanala’s vindication of the protesters should have given him the opportunity to lead here. It creates both a new dynamic and the breathing space within which a political solution can be found. On January 20th, his department wrote to An Bord Pleanala criticising its decision to refuse permission for much of the pipeline on safety grounds. Ryan’s chief technical adviser objects that the board’s decision was based on the consequences of an accident and not on “the likelihood of occurrence”, the implication being that the consequences are relatively unimportant because the likelihood is small. Instead of accepting that the residents have reasonable grounds for their fears and pushing for a genuine dialogue, the department is yet again lining up entirely with one side in the conflict. Instead of acting as an honest broker, the Green Minister is continuing with the disastrous approach of his Fianna Fail colleagues.